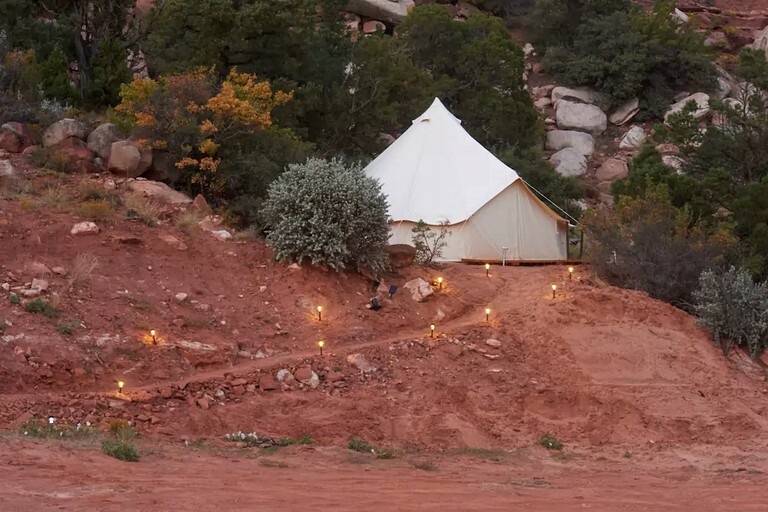 This cozy bell tent rental is located at a glamping site near Zion National Park, Utah, and can accommodate two guests for a romantic getaway amid the spectacular natural landscape of the state's scenic southwest. 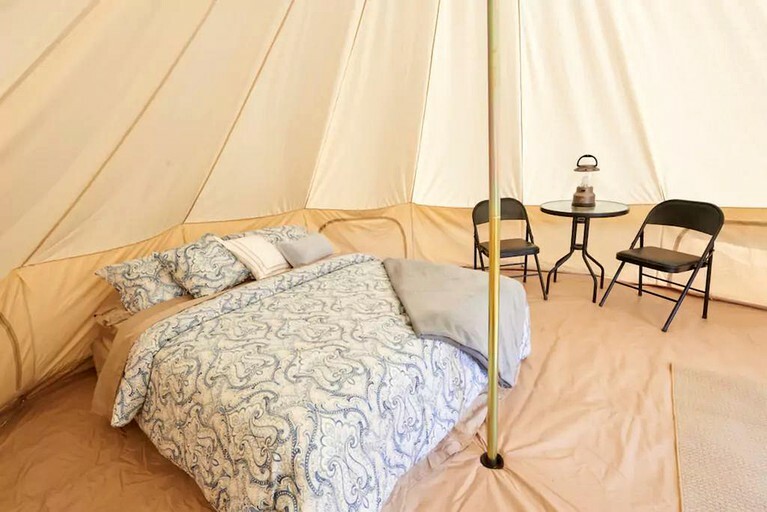 Set on a solid wooden platform and propped up by a thick metal pole, the tent is furnished with a comfortable queen-size bed, luxurious bedding, a lantern, and a table for two with a pair of folding chairs. 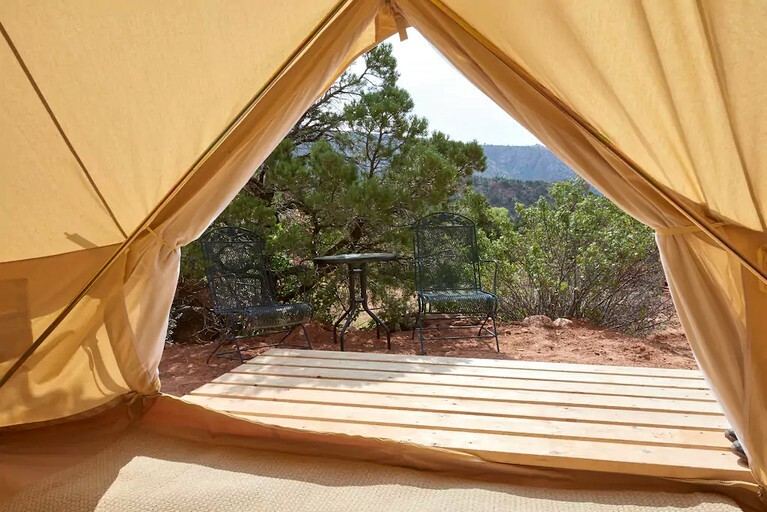 Outside, guests will find another table with a pair of folding chairs by the front stoop of the tent, as well as a fire pit and a barbecue grill. 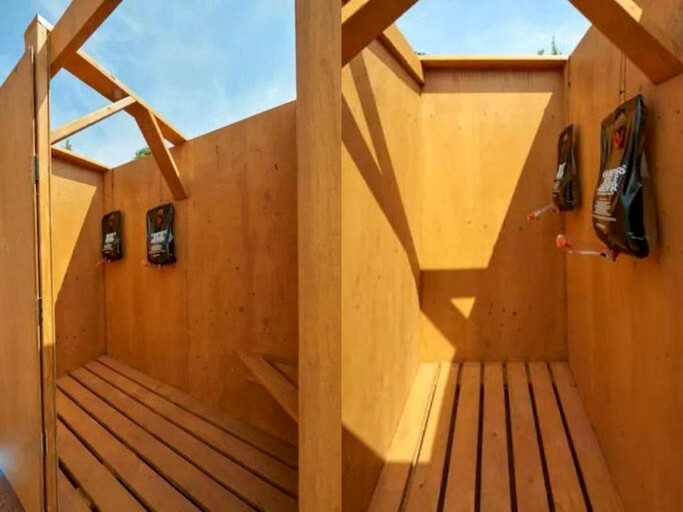 The site also contains a shared picnic and grilling area, a shared outhouse, and a shared outdoor shower house, where guests can enjoy a hot shower beneath the open sky. 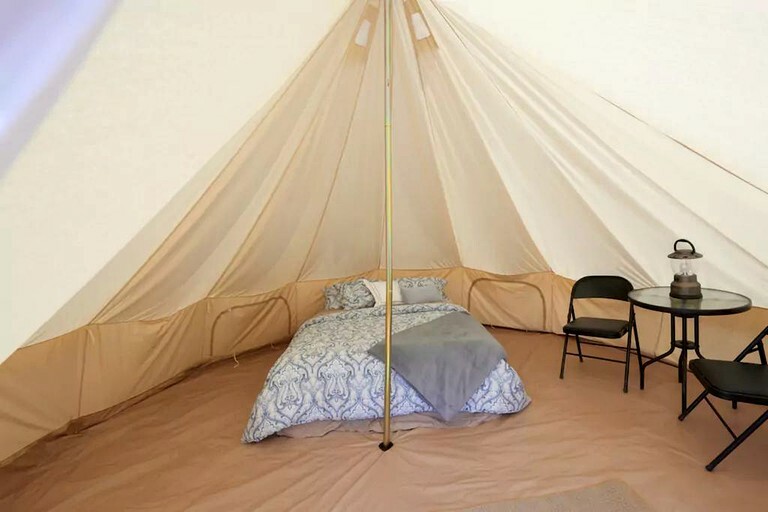 The bell tent comes with amenities such as bedding, a lantern, and a table with a pair of chairs. 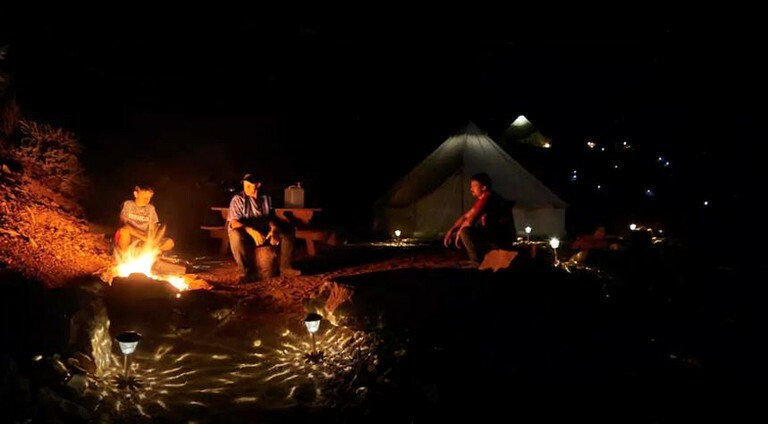 Outside, guests will find a fire pit, barbecue grill, and another table with a pair of chairs. For larger gatherings, guests can head to the shared picnic area, which contains tables and a grilling area. 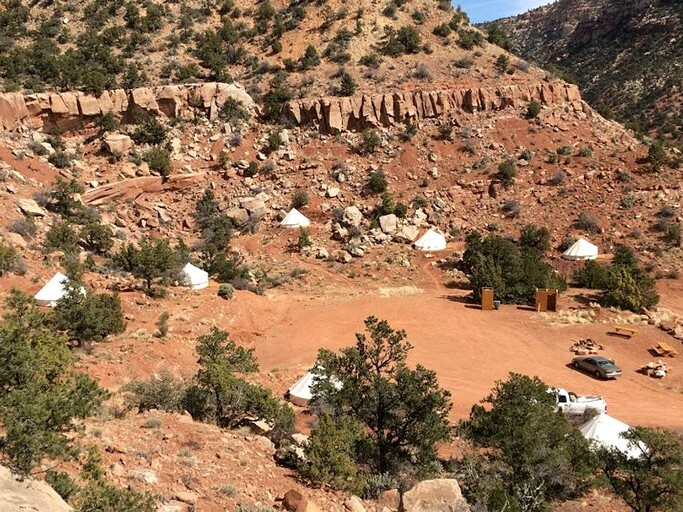 Guests will also have shared access to an outhouse and an outdoor shower house with limited, solar-heated hot water. Guests should keep in mind that this site does not have electricity. 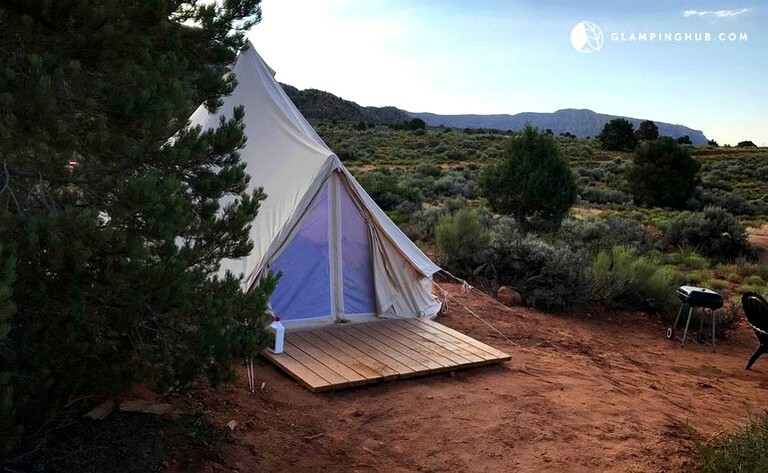 This bell tent is located in the outskirts of Hurricane, Utah, just outside the town of Hildale, where it is situated on a glamping site surrounded by a breathtaking landscape composed of sandstone cliffs and semi-arid desert stippled with shrubs. From the site, guests will enjoy stunning views of the Canaan Mountain Wilderness Area and they can walk right to the Water Canyon trailhead, which takes guests on a one-of-a-kind journey past winding sandstone canyon walls, waterfalls, boulders, natural rock bridges, juniper trees, gullies, pure spring water, fractured ledges, and patches of lush vegetation. 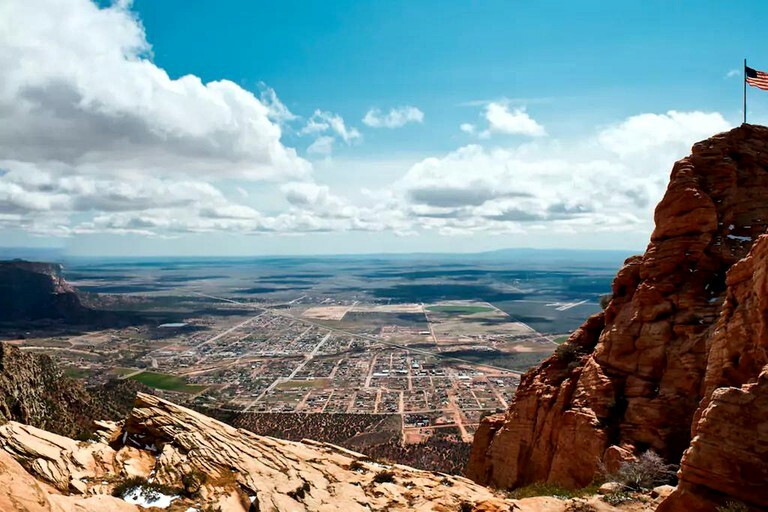 The site is well-positioned for guests to enjoy a variety of day trip options, encompassing a wide gamut of the natural splendor for which southwestern Utah is renowned. 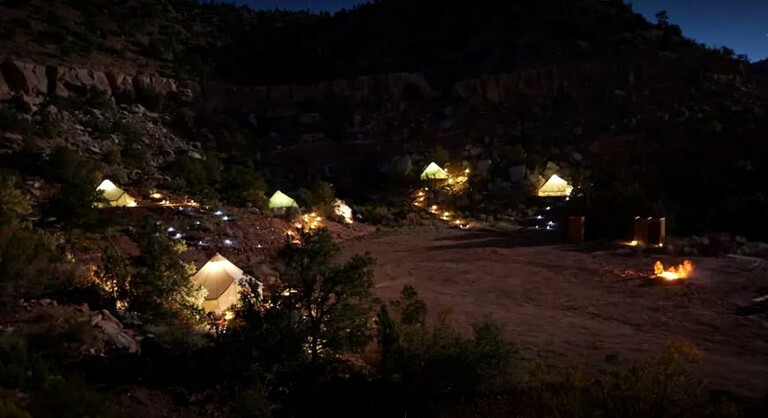 Within about an hour of the site, guests can reach Zion National Park, Coral Pink Sand Dunes State Park, the Red Cliffs National Conservation Area, Snow Canyon State Park, the Canaan Mountain Wilderness Area, Bryce Canyon National Park, Grand Staircase-Escalante National Monument, and the North Rim of Grand Canyon National Park. From the site's central location, guests could visit all of these natural attractions in the course of a single getaway. 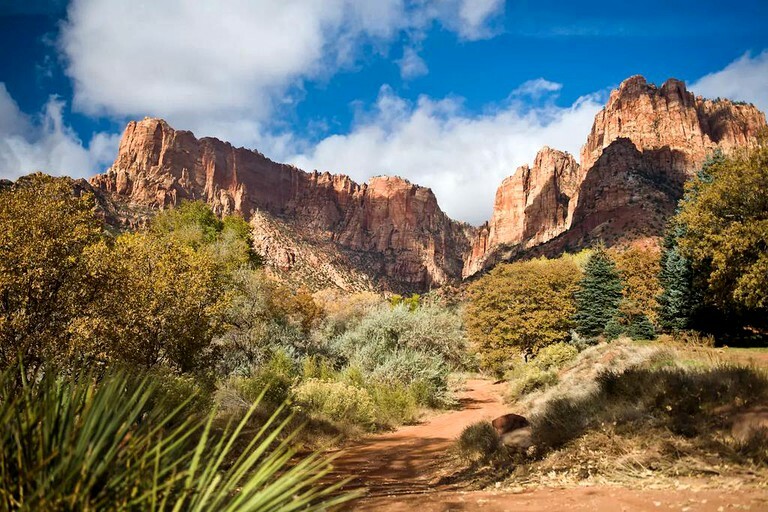 At Zion National Park, guests will find 148,016 acres of pristine desert, riparian, woodland, and coniferous forest environments, which provide habitats for a variety of wildlife, including mule, deer, collared lizards, cougars, bighorn sheep, and pinyon jays. 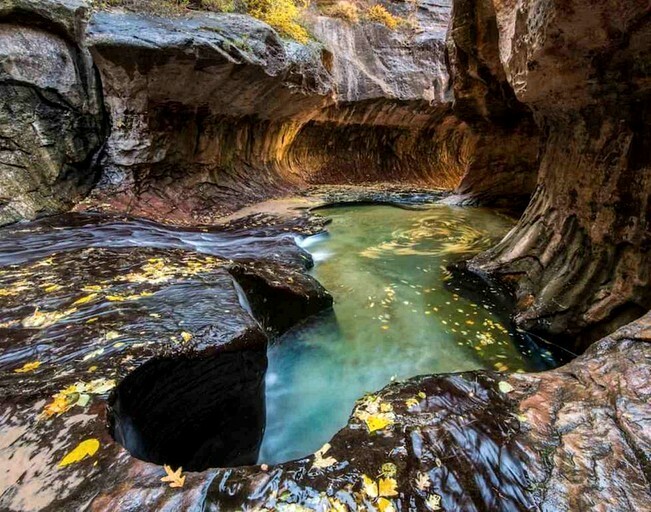 The park is also home to natural attractions such as the Zion Canyon, the Virgin River, and the Emerald Pools. Coral Pink Sand Dunes State Park is exactly what it sounds like: an expansive, ever-shifting sea of coral pink-hued sand dunes, which are bordered by red sandstone cliffs. More such cliffs can be found at the similarly self-descriptive Red Cliffs National Conservation Area, which is part of the Red Cliffs Desert Reserve. However, there is more to the conservation area than just magnificent cliffs; it also contains a variety of desert ecosystems, black lava rock caps, mountainous areas, and protected habitats for a number of birds, mammals, and reptiles, including desert tortoises. 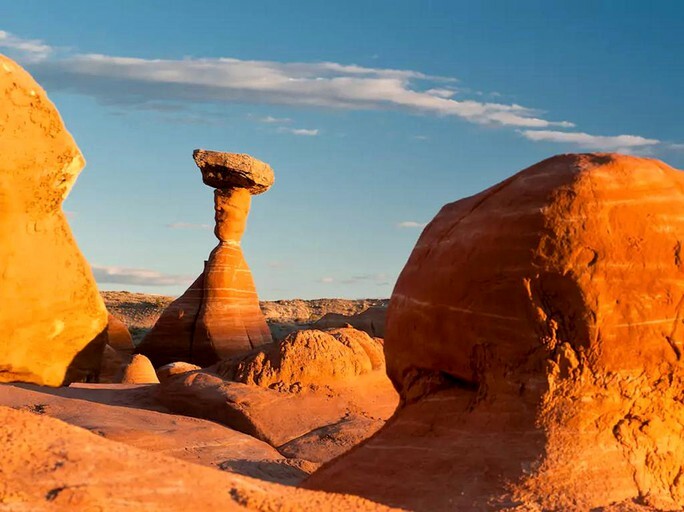 The reserve is also home to Snow Canyon State Park, where guests will find a diverse range of geological features, such as extinct cinder cones, lava flowers, and lava tubes, as well as sand dunes and a network of hiking trails and climbing routes. 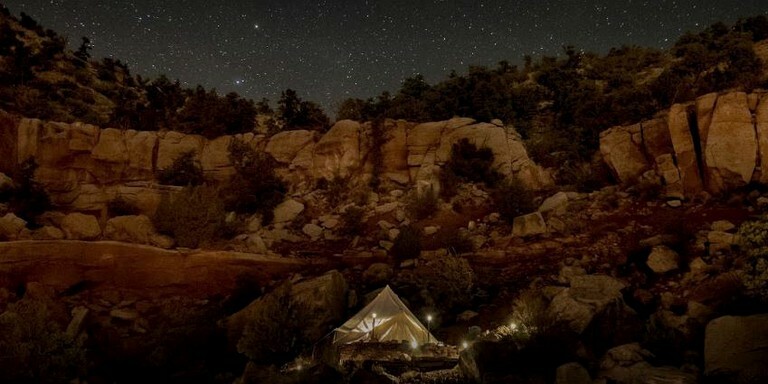 At the Canaan Mountain Wilderness, guests will find 44,500 acres of incredible Southwestern landscapes, including cliff walls, natural arches, slot canyons, mountain slopes, and plateaus crowned with stands of ponderosa pines. Guests can access the wilderness via the Water Canyon Trailhead. 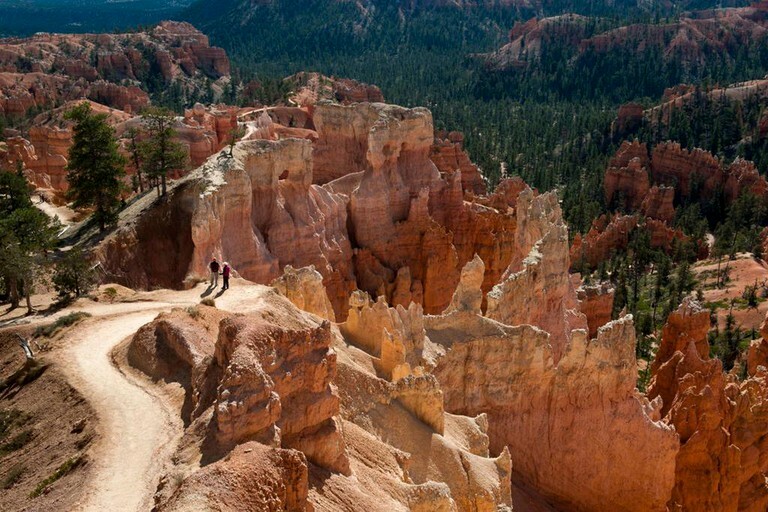 Last but certainly not least, Bryce Canyon National Park and the bordering Grand Staircase-Escalante National Monument encompass well over a million acres of natural splendor, including the largest collection of hoodoos (eroded rock columns) in the world. Despite its name, Bryce Canyon is not technically a canyon; instead, it is a series of vast natural amphitheaters. To see true canyons, guests can head to the North Rim of Grand Canyon National Park. 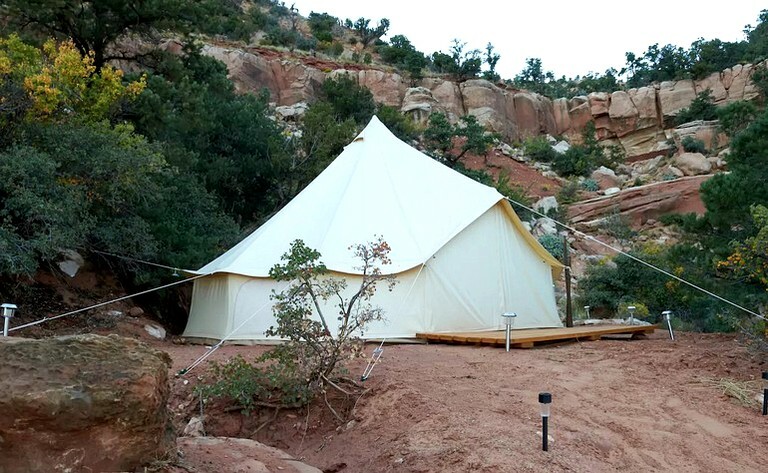 Guests can go hiking on the Water Canyon trail, the trailhead of which is located within walking distance of the glamping site. The trail takes guests on a breathtaking journey through a narrow corridor of winding sandstone canyon walls leading into the Canaan Mountain Wilderness, where they will find trails and areas for mountain biking and horseback riding as well. 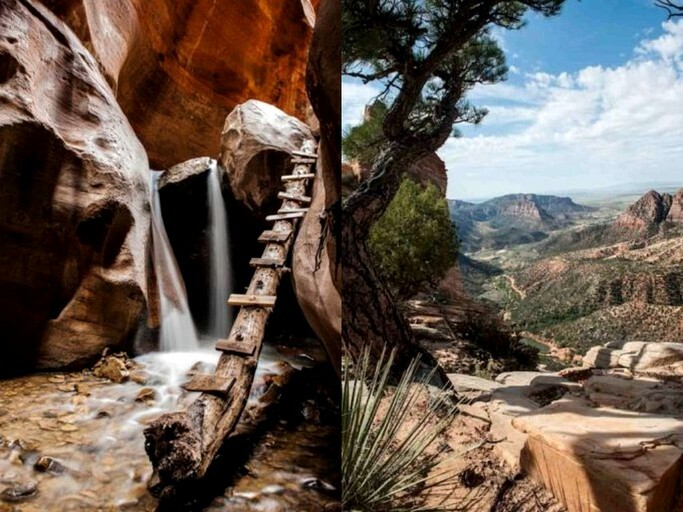 Continuing north, guests will reach Zion National Park, where they will find many more trails for hiking. At the park, guests can also go biking on the Pa'rus Trail and Zion Canyon Scenic Drive, horseback riding on guided tours with Canyon Trail Rides, kayaking on the Virgin River, climbing on the park's 2,000-foot sandstone cliffs, birdwatching for the 291 species of birds that call the park home, and wildlife viewing, with mule deer, collared lizards, cougars, and bighorn sheep being among the many mammals and reptiles guests may see while exploring the park. 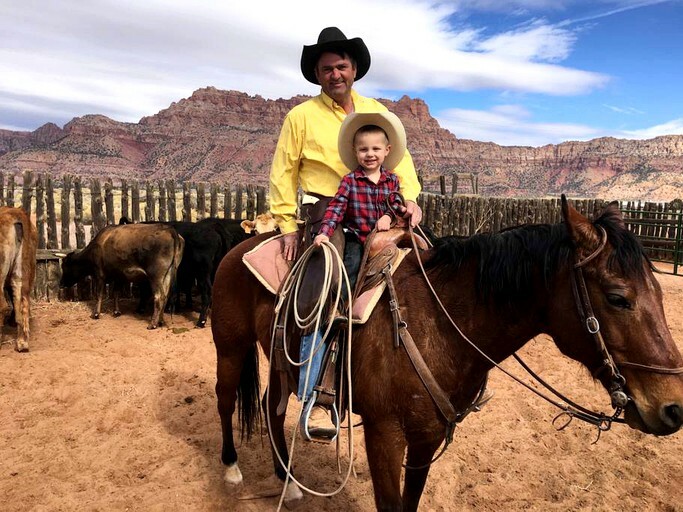 More trails for hiking, biking, and horseback riding, as well as climbing routes, can be found at Snow Canyon State Park, which is next to the Red Cliffs National Conservation Area. The latter contains another 130 miles of non-motorized trails. 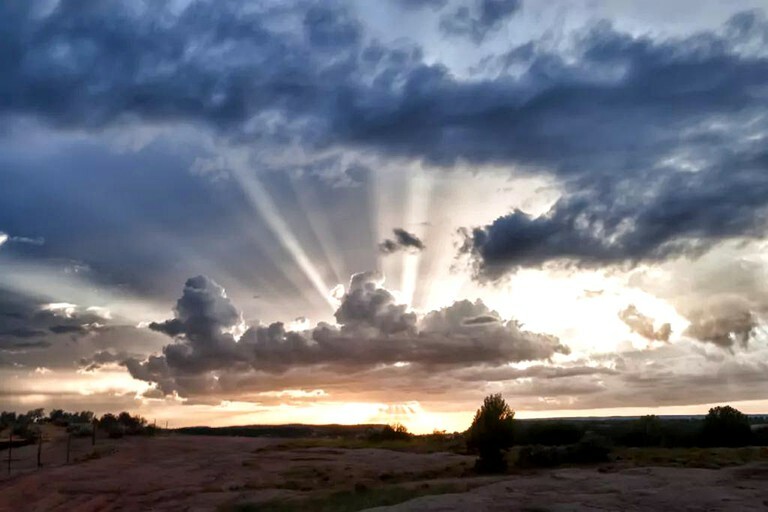 Guests will also find trails for hiking, horseback riding, snowshoeing, and cross-country skiing at Bryce Canyon National Park. 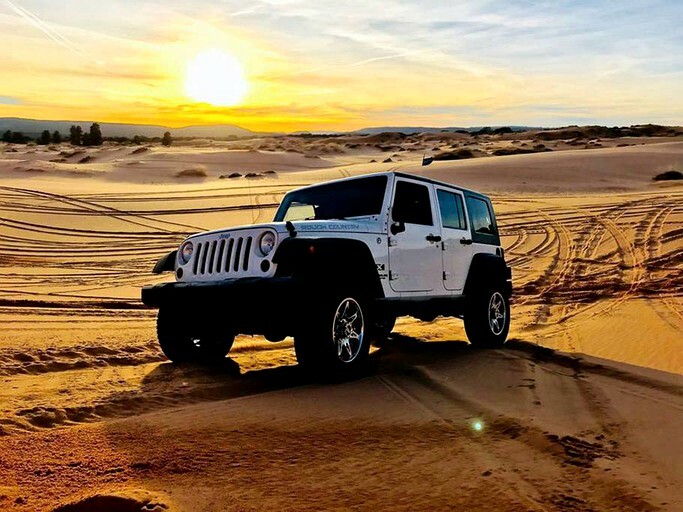 For a more leisurely tour of the park, guests can go on a scenic drive and take advantage of its 13 viewpoints, which overlook its vast natural amphitheaters. 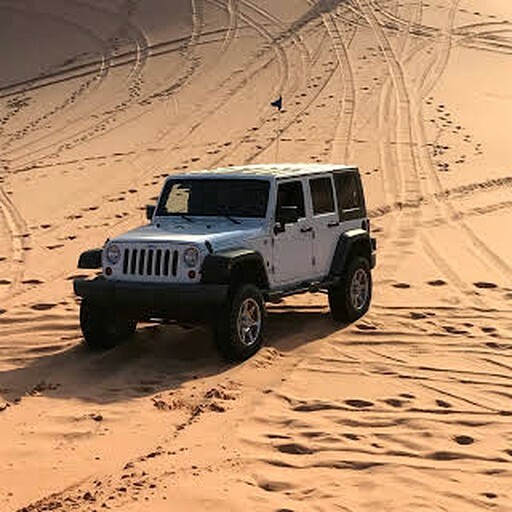 On the other end of the adrenaline spectrum, guests can go on a heart-pounding ATV ride or jeep tour of Coral Pink Sand Dunes. Pets and smoking are permitted.